I’ve created cheaper versions of this as a Character Folio. 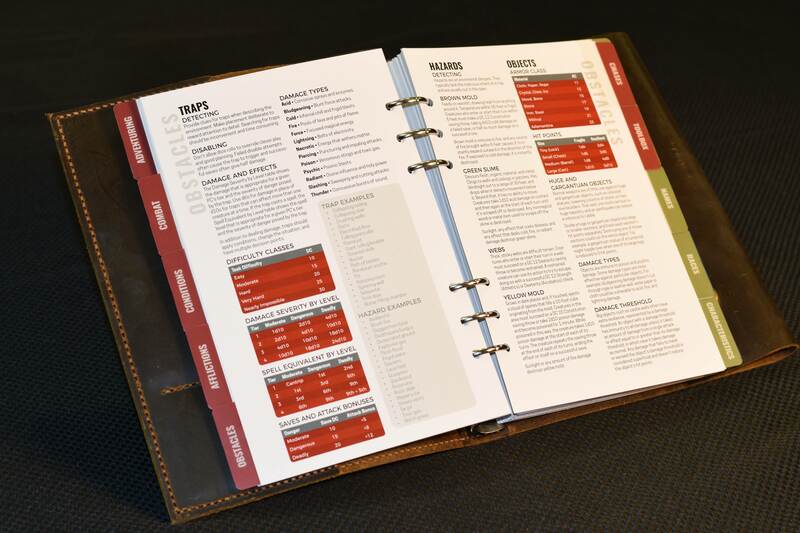 It contains basic system rules (DnD5, WoD), character specific rules (incl. full spell descriptions for my sorcerer), character sheet and notes. Works _really_ well. If you’re playing Savage Worlds or FATE, then Aviv/ Eran’s comic-style guides would also rock in a player bible.